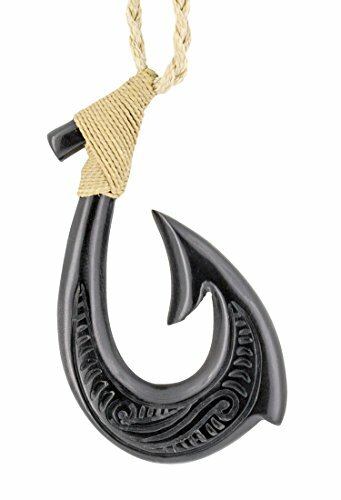 The Fish Hook , Hei Matau (Maori) Makau (Hawaiian), represents not only the land, but prosperity, abundance, good luck, and safe journey--esp over water. Horn is not bone nor antler, it is keratin. It will have a different weight and no dyes are used. SHIPPING: this item will ship free via US Post First Class Mail. STANDARD (via US Post Priority Mail) and EXPEDITED (via a Second Day Guaranteed Service) will ship the same day whenever possible, and by the following business day. If you have any questions about this product by Earthbound Pacific, contact us by completing and submitting the form below. If you are looking for a specif part number, please include it with your message.